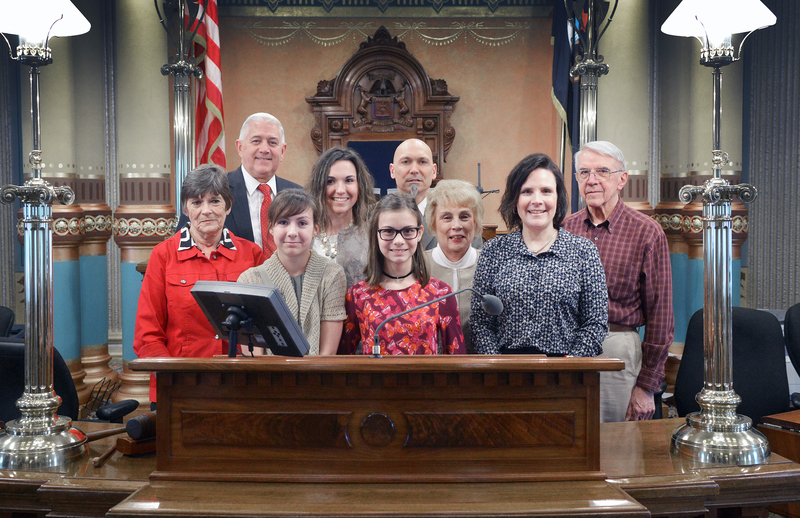 LANSING, Mich. — Sen. Ken Horn, R-Frankenmuth, welcomed the Rev. Rob Troutman and his family to the Michigan Capitol on Tuesday. Troutman serves as lead pastor at REACH Community Church in Saginaw and delivered the invocation before Senate session. Troutman also serves as chaplain for the Saginaw and Saginaw Township police departments. Editor’s note: A print-quality photograph of Horn welcoming Tuesday’s guests is available by clicking on the image or by visiting the senator’s website at www.SenatorKenHorn.com. Click on “Photowire” under the Media Center tab.